Time Out Group's revenue increased 19% year on year in 2017 in line with expectations, helped by a 216% rise in live events. The company, which released its full year financial results this morning, reported group revenue of £44.4m for last year, compared with £37.1m in 2016. Time Out digital had revenue of £38.4m (up 15%), which was driven by ecommerce. However Ebitda (earnings before interest, taxes, depreciation and amortisation) dropped 34% to a loss of £14.2m, which was also as expected and down to the development of the digital side of the business and "the higher costs associated with increased customer acquisition." Chief executive Julio Bruno put the growth down to a strong performance in e-commerce – which includes the live events arm – and its market concept. The group arranged 791 live events for 155,000 people last year, compared with 250 events for 80,000 people in 2016. 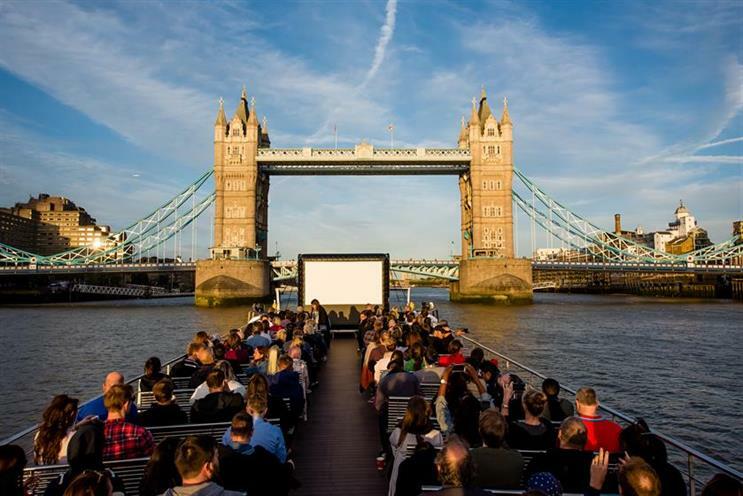 This includes a pop-up cinema on the Thames and a Caribbean-themed supper club with British Airways. E-commerce revenue was up 57% overall with an 83% growth in live events, 665 in affiliate sales and 21% in offers. The group noted that the number of transactions grew 33% and revenue per transaction increased to £18.11 from £15.39 in 2016. Bruno told Campaign that the business is only just getting started in live events. "It still has a long run," he said. "We have learned that we can do events [in a] more profitable [way] than we have done in the past." He explained that the business is still learning about how best to deliver the events but plans to grow profitability and revenues. He added that this model is yet to roll out in other countries such as Australia, Spain, Singapore and Hong Kong. The company also announced its intention to launch a market in New York towards the end of the year, adding to plans for ones in Chicago, Boston and Miami. Time Out Market is a concept that began in Lisbon, Portugal, in 2014 where the editorial team picks out the city’s best eateries to open stalls under one roof. The group reported a record number of visitors of 3.6 million last year, compared with 3.1 million in 2016, driving revenue growth of 62% to £6m. In London the group’s plans had a set back last year when Tower Hamlets Council refused permission for Time Out Market to launch in Spitalfields. Bruno explained that this decision is being appealed in May. However, he added that there are "at least" two other locations that the company is looking at in the city. Print revenue increased 2% year on year in the UK "aided by increased premium advertising and sponsored supplements and the organisational changes made in the first half".